Artist Jolie Zimmer, OFS has designed Tau Cards available for purchase. 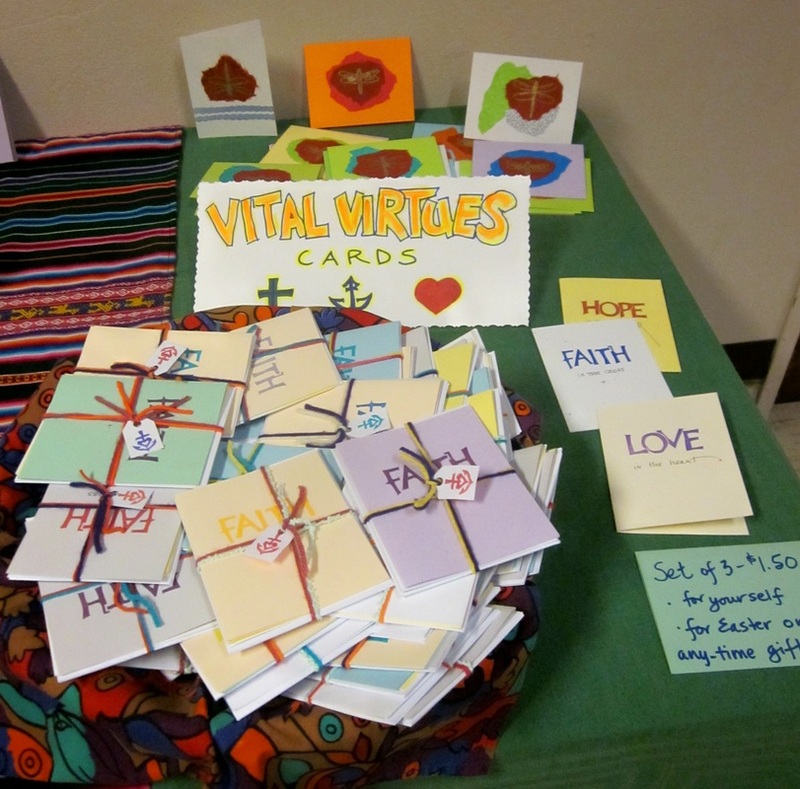 Each card depicts our Tau symbol in a unique style and includes the Franciscan greeting: "Peace and All Good" in a variety of languages. The inside is blank, and the back includes a brief explanation of the Tau. No two cards are alike. All proceeds go to the House of Peace, a Capuchin Franciscan ministry. 50¢ each. Contact Jolie at pinguinoarts@hotmail.com to purchase or place an order. Jolie can custom-order your request to celebrate any occasion with a Tau greeting card. Currently, Jolie has Franciscan Love Notes avaialable for St. Valentine's Day or any time. 50¢ each.